As we discover more applications for 3D printing across UCSF the Makers Lab will need more consumables (or materials used to 3D print) to help the UCSF community keep “making.” Join us, make a gift, and help us reach our $10,000 funding goal. We can’t do this work without YOU! It is straightforward; your gift will go towards supplementing the cost of 3D printing consumables for the UCSF community and will help prepare the health practitioners, researchers, and educators of tomorrow. 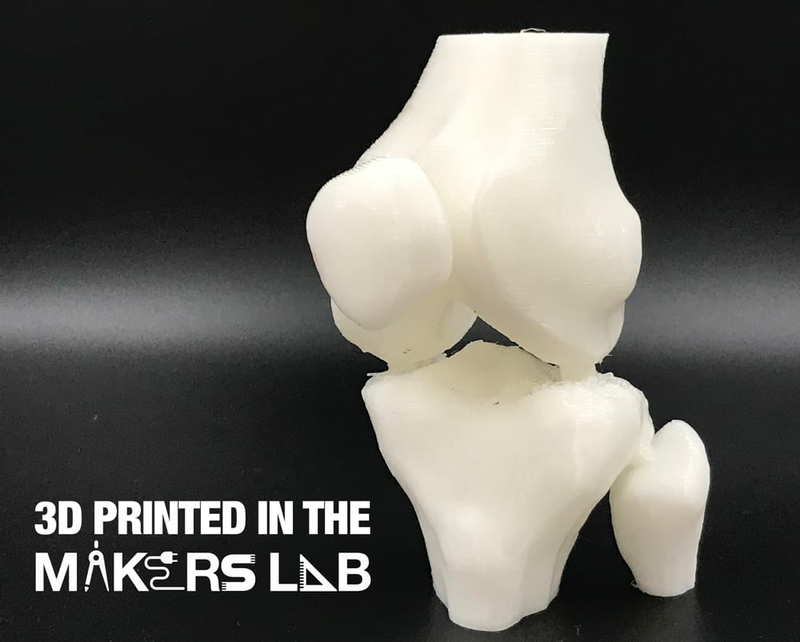 With a $25 donation we can 3D print 20 of the knee models shown above. Just imagine what is possible if we reach our goal! Located in the UCSF Library, the Makers Lab is the university’s makerspace, or collaborative workspace, where the UCSF community can unleash their natural creativity to discover new solutions to health science challenges. It is a creative, DIY space where students, faculty, researchers, and staff can tinker using 3D printers, virtual reality, arts and crafts, programmable electronics, and more at no cost.